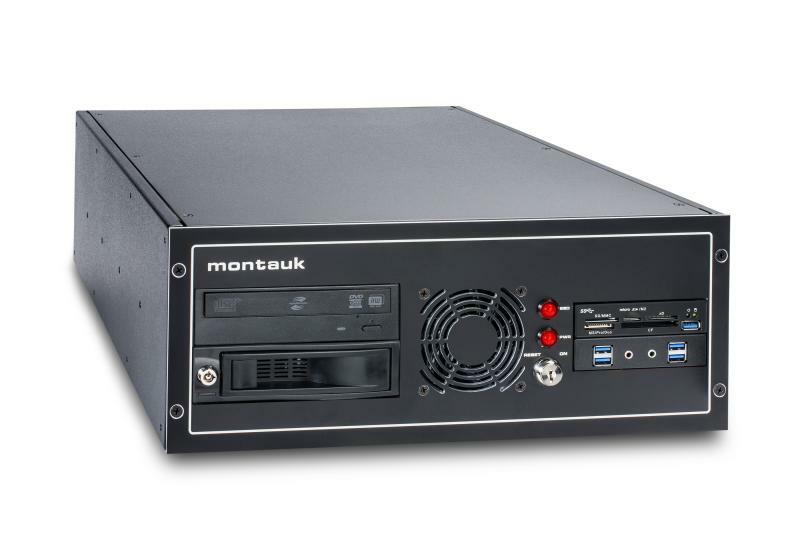 Montauk computers are designed for applications that require extra security not found with conventional "off-the-shelf" PC computers. The sturdy all-aluminum rack mount enclosure is extremely rugged and designed to significantly minimize RF/EMI interference from the outside world. A three position switch allows the operator to activate and reset the unit using a removable key. Designed to be mounted in a standard 19" rack - the unit also has two pull front panel handles for easy rack installation and removal. Mounting points are provided on the sides of the enclosure allow for the installation of slide brackets. The 64-BIT PC computer features 5-Way Optimization at your disposal — for instant, highly-controllable performance boosts! Superb CPU performance, everyday energy savings, ultra-stable digital power, cool and quiet fans and even networking and audio settings that are tailored for the apps that you are using. In short, 5-Way Optimization ensures that your PC is perfect for productivity, gaming, entertainment, production or just about anything else! 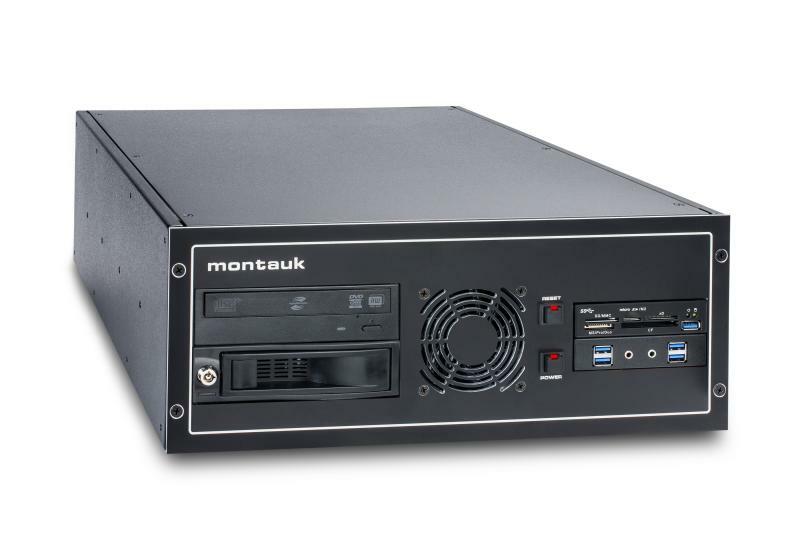 Our computer is configured with a Solid-State Drive (SSD) that allows for enhanced performance, reliability, ruggedness, and power savings. Ideal if you intend to use this unit in a "mobile" application. Additional drive bay for future expansion. The operating system is Microsoft Windows 10 Pro (64-Bit). 1 x PCI Express 3.0/2.0 x16 slot* (max. at x4 mode, compatible with PCIe x1 and x4 devices)* The PCIe x16_3 slot shares bandwidth with SATA6G_56. The PCIe x16_3 is default set at x2 mode. Mounting Standard 19" Rack mount. Mounting points on sides of unit to facilitate slide brackets. Same specifications as our rack mounted unit - only can be placed on desktop or mounted above or below a sturdy surface such as a table, desk, or workstation. Same specifications as our rack mounted unit above - only with momentary push button switches featuring integrated red LED lamps for the ON/OFF and RESET functions. Contact us if you have a unique design requirement. *Non-Recurring Fee (NRE) charges may apply. NRE may be waived in certain quantity buy situations.